Carnival Cruise Line is to expand capacity out of Port Canaveral, Florida with larger and newer vessels. The extra capacity will affect 3 and 4 days cruises to the Bahamas and seven-day Caribbean cruises. The short cruise to the Bahamas will get a passenger increase of 34%. 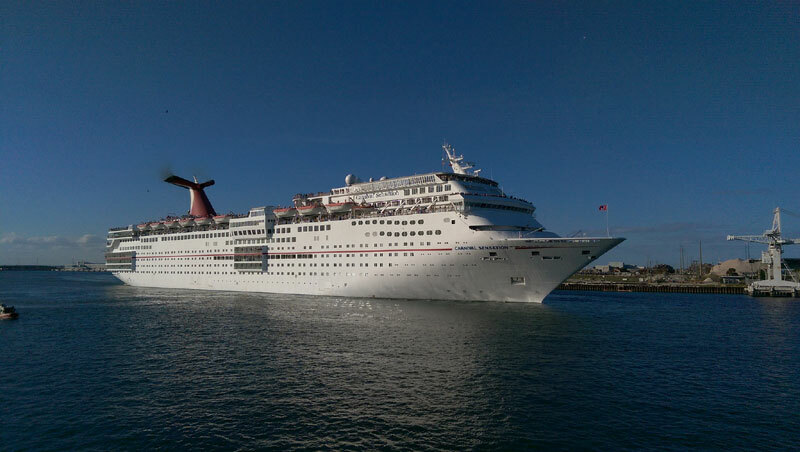 The extra capacity will be added during 2016 with the Carnival Victory and Carnival Magic. Carnival Victory will replace the Carnival Sensation starting from February 25, 2016. The ship will sail three- and four-day cruises beginning , dramatically expanding the line’s capacity on this program. On this route, three-day cruises depart Thursdays and visit Nassau, while four-day cruises depart Sundays and call at both Nassau and Freeport. Carnival Magic will kick off its Port Canaveral-based program with a special eight-day cruise departing Dec. 9, 2016, and featuring St. Thomas, San Juan, Amber Cove (Dominican Republic), and Grand Turk. The ship will then launch year-round seven-day cruises from Port Canaveral Dec. 17, 2016, offering two distinctly different week-long itineraries – a western Caribbean route featuring Cozumel, Belize, Mahogany Bay (Isla Roatan) and Costa Maya; and an eastern Caribbean option calling at St. Thomas, San Juan, Grand Turk and Nassau or Amber Cove. The ship is one of the newest in the fleet and offers the very latest FUN 2.0 features. before this Carnival Magic will sail a one time 12-day Carnival Journeys cruise departing Galveston Nov. 27 and arriving in Port Canaveral on Dec. 9, 2016. As a result of the new deployments the Carnival Sensation will be redeployed to Miami, Florida. the Fantasy class ship will offer year-round four- and five-day cruises featuring top ports in the Caribbean, Mexico, The Bahamas, and Florida beginning Feb. 25, 2016. Carnival Valor which is currently sailing from port Canaveral will undergo a major dry dock during March 2016 where it will receive all the latest FUN 2.0 features. The Valor will then sail 3 and 4 days cruises to the Bahamas replacing Carnival Victory which will then move to another homeport.